Monitoring the state of your grain is crucial to protective it from spoilage. 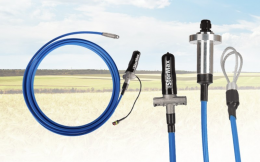 Flaman carries a variety of grain bin monitoring systems, including options from OPI that will allow you to create a system unique to your operation to ensure your grain’s quality. 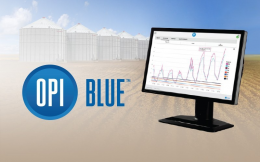 For ultimate convenience and efficiency, OPI has developed OPI Blue; a fully automated wireless monitoring system that is programmable to send out hourly readings on your grain. 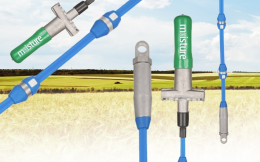 This time saving option allows you access to your grain no matter where you are. It can also be incorporated into pre-existing OPI grain management solutions. 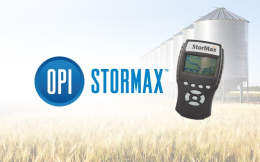 If a handheld item is more your style, we also carry OPI StorMax – a cost effective option that will provide accurate digital readings by simply plugging the monitor. OPI also has moisture and temperature cables available (including retractable options) that are easy to install and can be combined with automated fan control systems for unrivaled moisture control. You’re in good hands with Flaman. With 9 locations across Western Canada, a full line of grain analysis equipment, and a team of expert sales members ready to help, we will find the best equipment to meet the needs of your operation. If you’re interested in all we have to offer, visit your nearest Flaman location where one of our team will be happy to provide information over a cup of coffee.